Hm, soto betekent soep. Wat voor soep? Er zijn zoveel soorten soep. Indonesische soto? Surinaamse soto? Of in dit geval een soep met zwarte sojabonen? 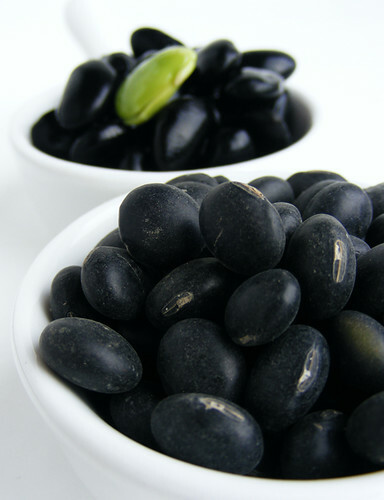 I just make some black bean soup today, just put a handful of black beans (need to soak it overnight it first), about 200g with 1.5 to 2 litres of water in a slowcooker. Throw in some meat, preferably porkribs, and add some chinese red dates. Let it boil and simmer for at least 2 hours. Then add a pinch of salt to taste. Ah, that’s interesting to know. Thank you. Do you add tiáncù / 甜醋 (zoete, zwarte rijstazijn) as well or is that for another confinement period dish? It’s just plain soup, with only salt added to taste, no vinegar. I should put the recipe up in my blog. Ah, I see you sort of make your own sweet, black rice vinegar (tiáncù). Starting with the unsweetened Chinkiang and adding ketjap and sugar. You never use the sweetened black rice vinegar? I love the taste of orange and cloves in it. Here you can read about those: two kinds of black rice vinegar. In fact, the bottle of chinkiang black vinegar that I currently have is the 2nd bottle shown on your zwarte-rijstazijn page. So far I only use it for 1 dish. I dunno wanna buy too many different variants, if not I always end up not being able to finish them by the expiry date. 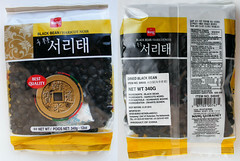 deze black bean is dat hetzelfde als : green hearted black bean. en waar zijn die in Nederland te bestellen. Ja, blijkbaar. Ik kende de term niet, maar heb ze er nu meteen bijgezet. Dank je. Ze zijn te koop bij veel toko’s, zeker de grotere. Hier vind je een lijst van Online toko’s in Nederland. Zo zijn ze bijvoorbeeld te koop bij de webwinkel van Amazing Oriental, maar vast nog in meer webshops ook.